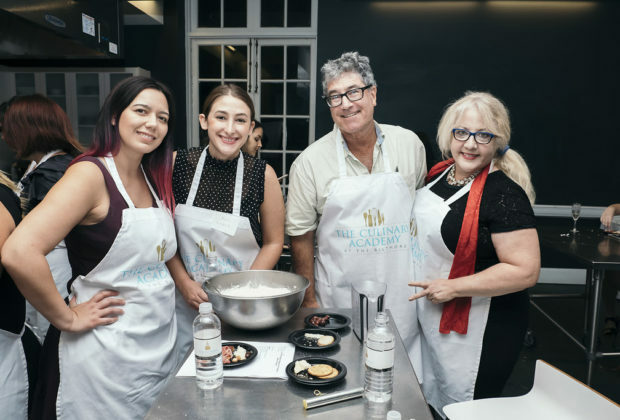 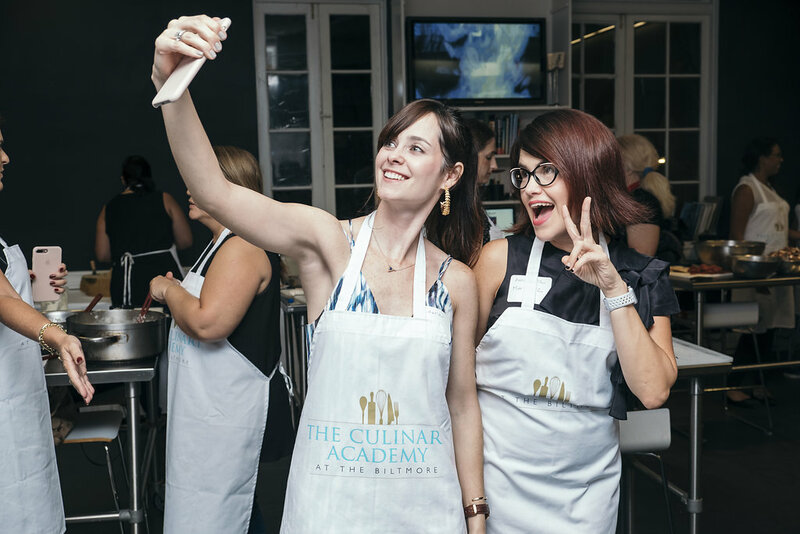 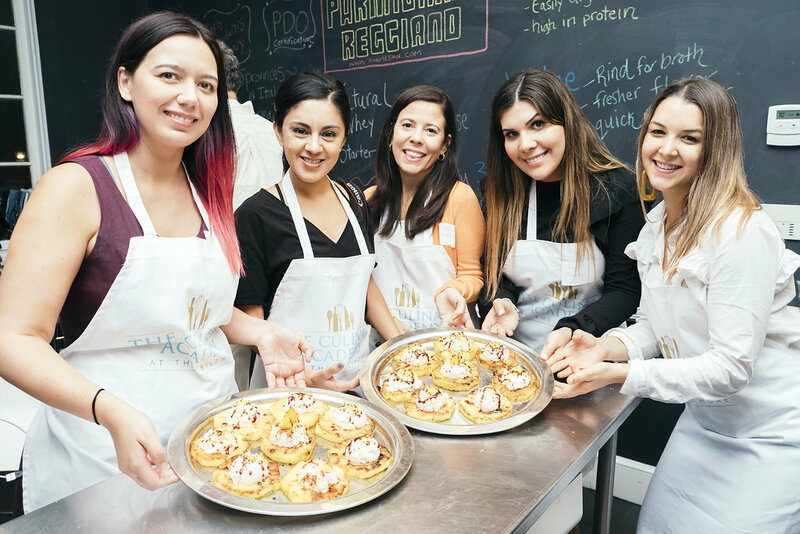 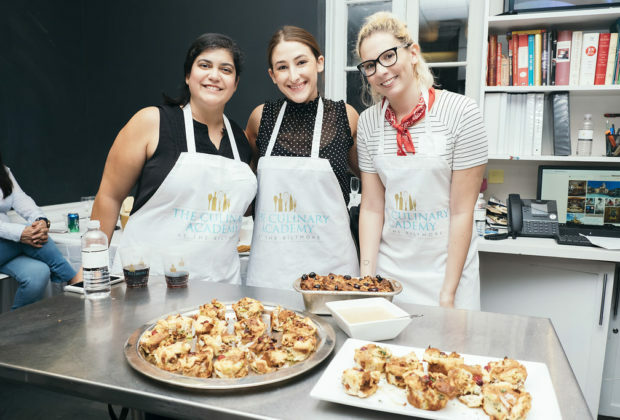 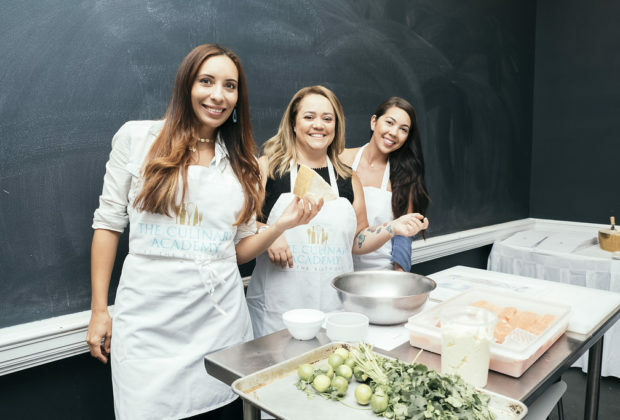 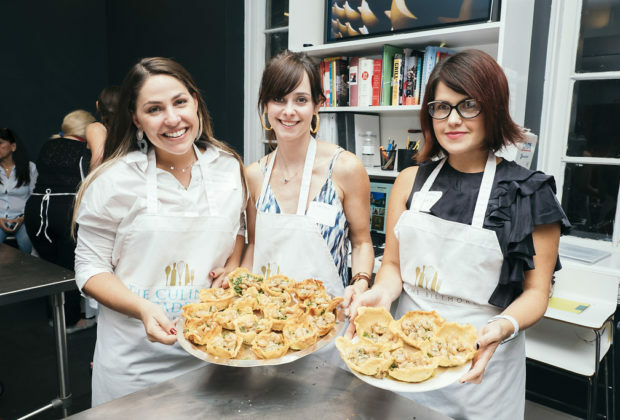 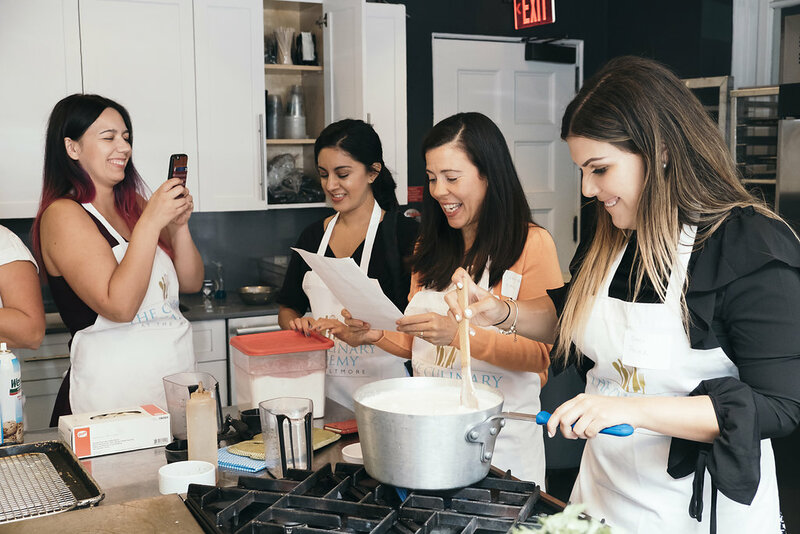 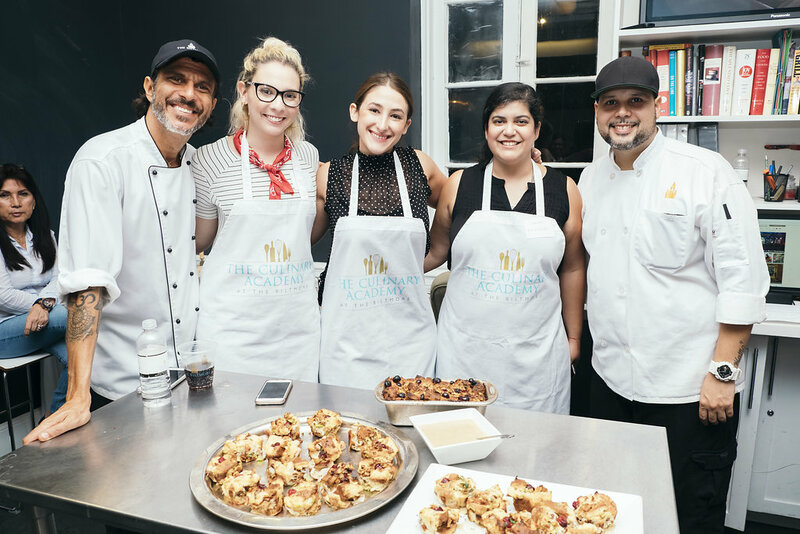 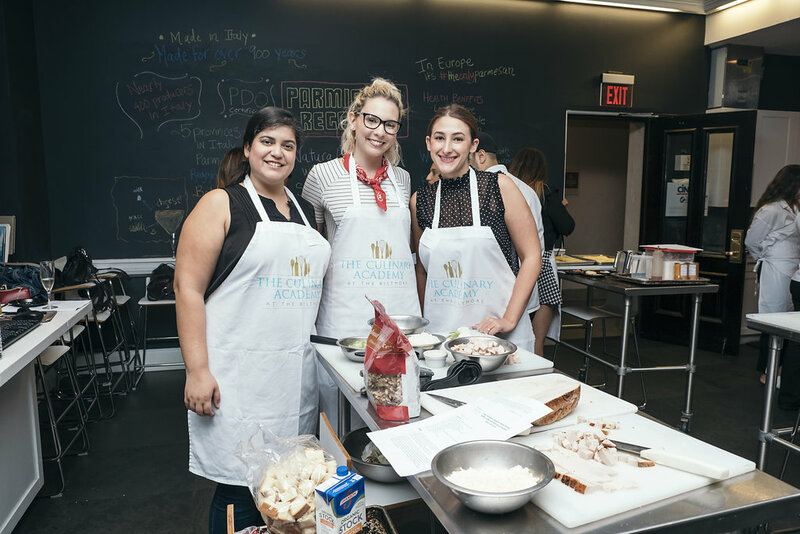 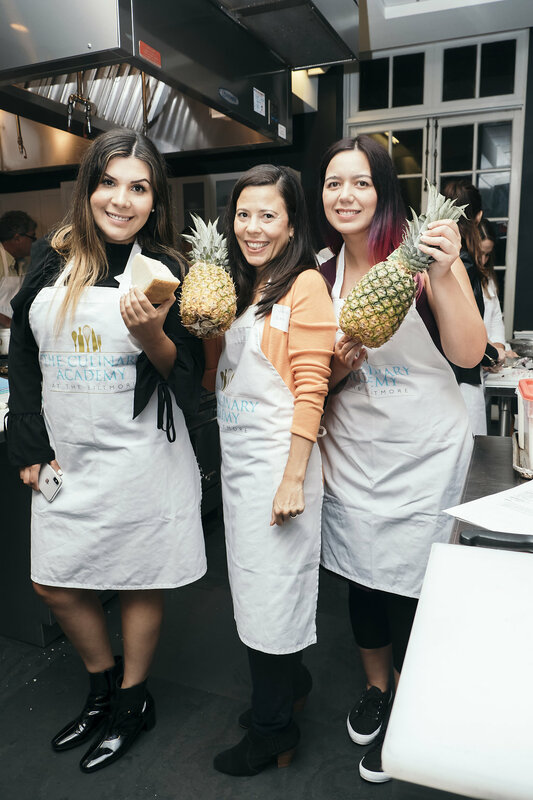 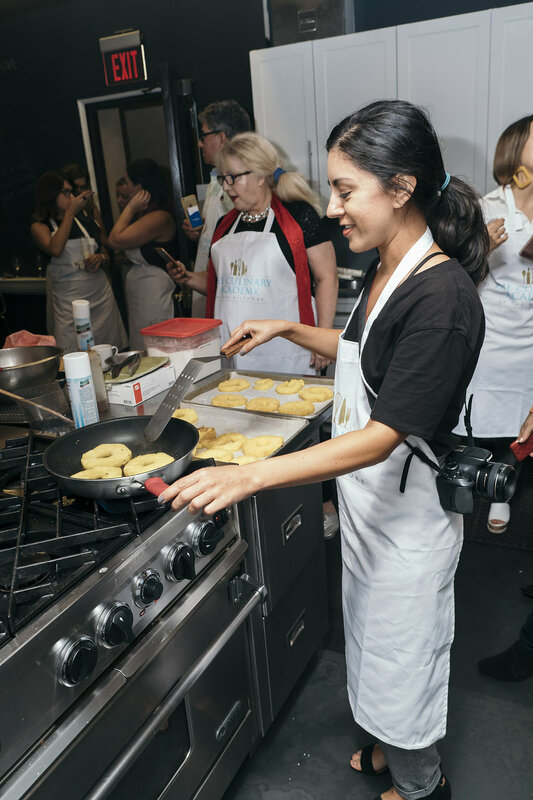 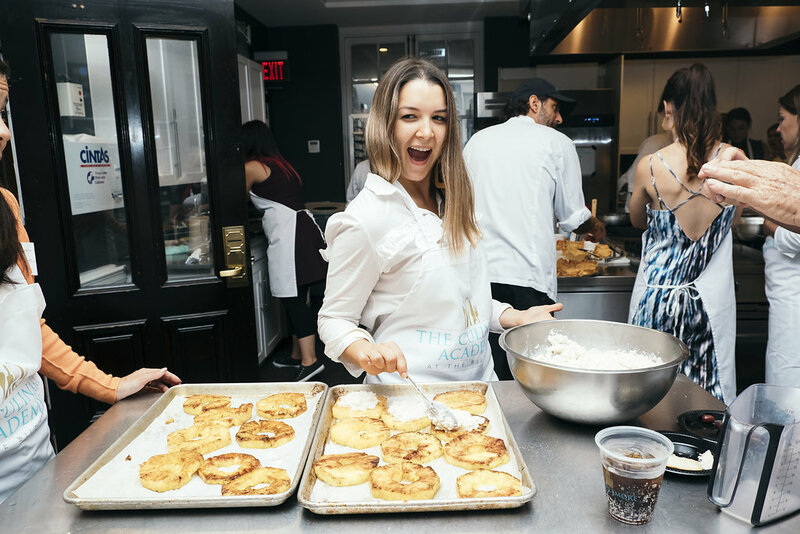 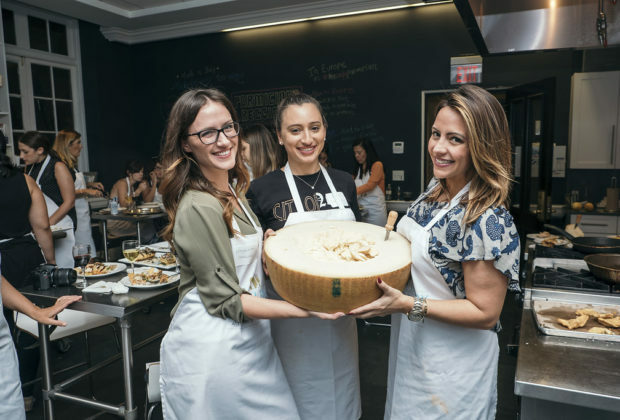 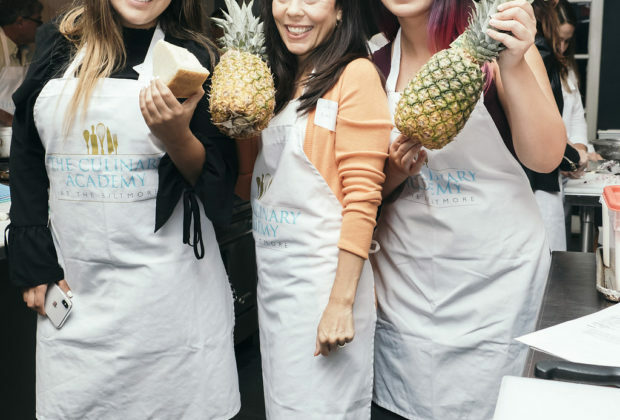 Earlier this month 20 bloggers were invited to the Biltmore Culinary Academy for an exclusive cooking class featuring Parmigiano Reggiano. 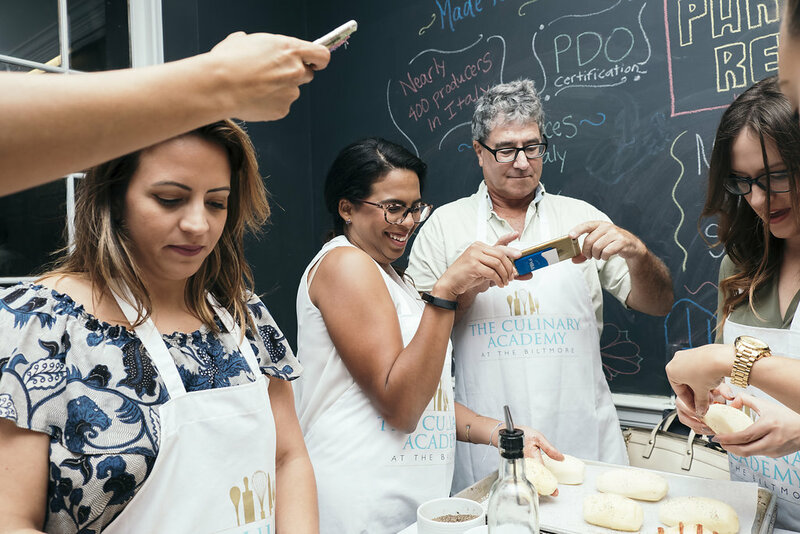 We quickly learned that it’s not just about Italian cuisine, this deliciously versatile cheese can be used in just about anything from a main course, to sauces, to dessert. As the invited bloggers arrived we were each greeted at the entrance with a flute of Prosecco and were led into the cooking space. 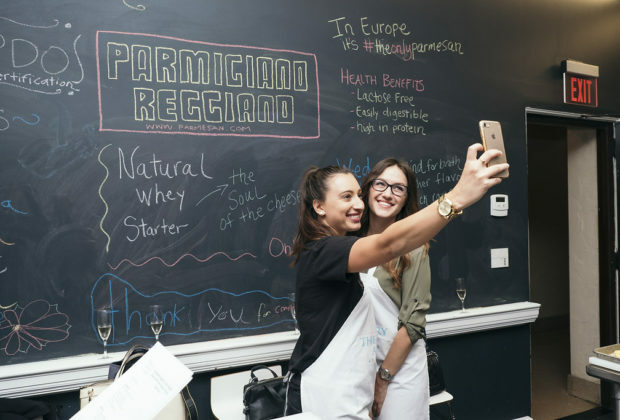 At the back of the room they had prepared a full spread that included prosciutto, olives, grapes, and an entire wheel of Parmigiano Reggiano for us to feast on as we learned about “the only parmesan.” For instance, did you know Parmigiano Reggiano is lactose free? 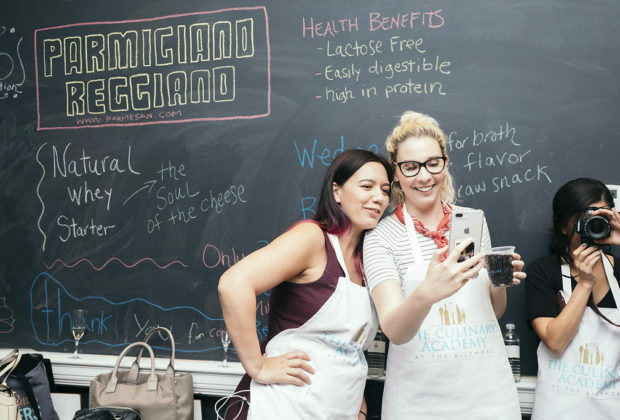 It loses the lactose during the aging process, which is a minimum of 24 months. Parmigiano Reggiano is also a Protected Designation of Origin (PDO) product, meaning that its features and origin are guaranteed by a system of EU rules. Only products that meet these strict rules and processes can be stamped with the certification marks that Parmigiano Reggiano is known for. 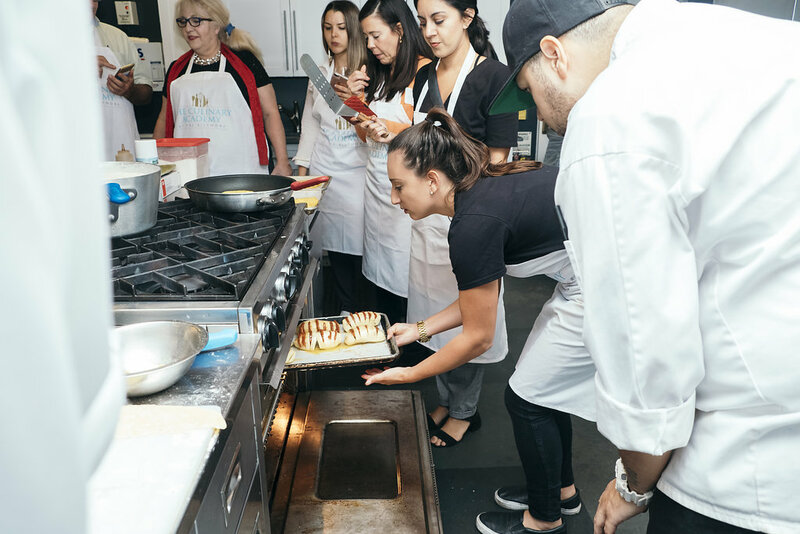 After the educational portion, we were introduced to “Chef Pepe” from the Biltmore Culinary Academy, who welcomed us and gave us a safety orientation. 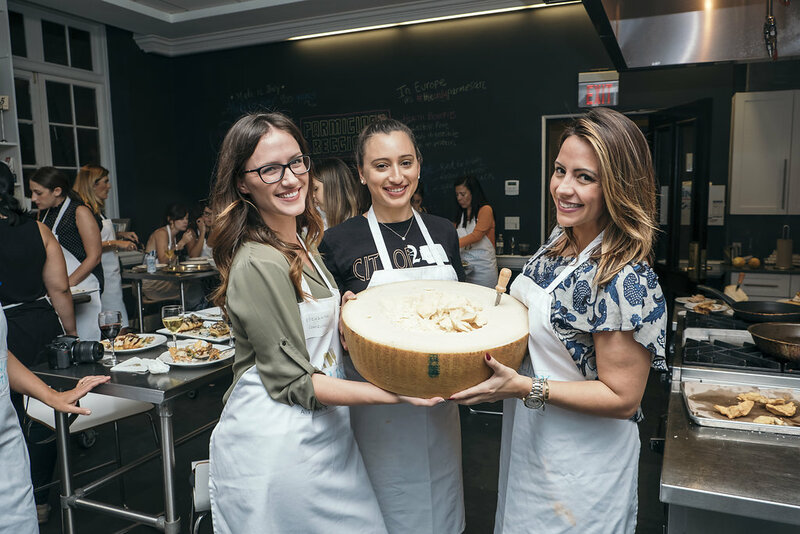 We were divided into 6 groups, and each group was to complete a recipe that included Parmigiano Reggiano. 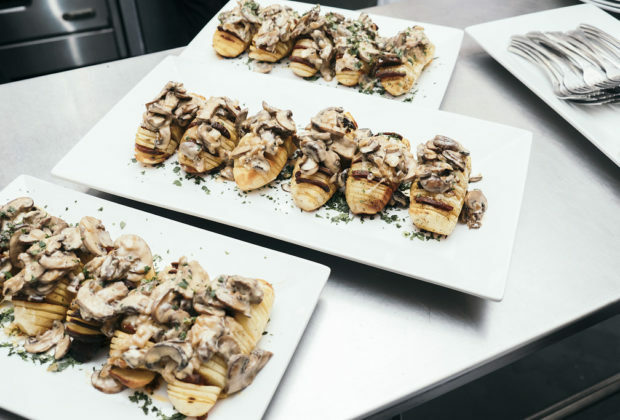 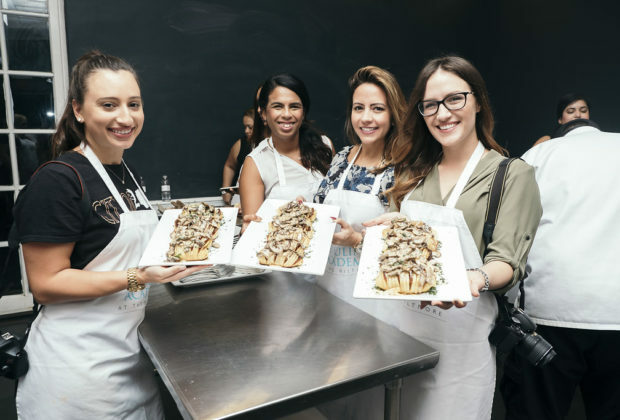 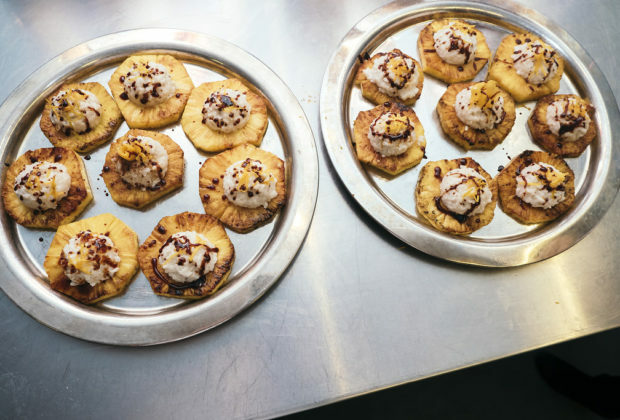 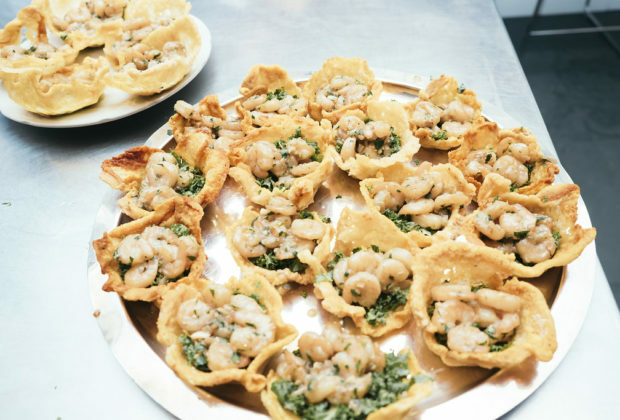 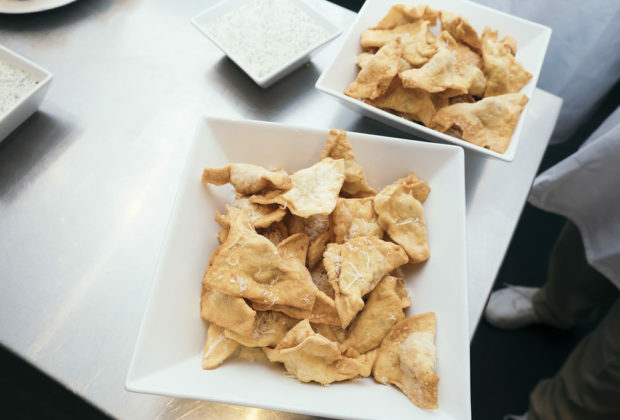 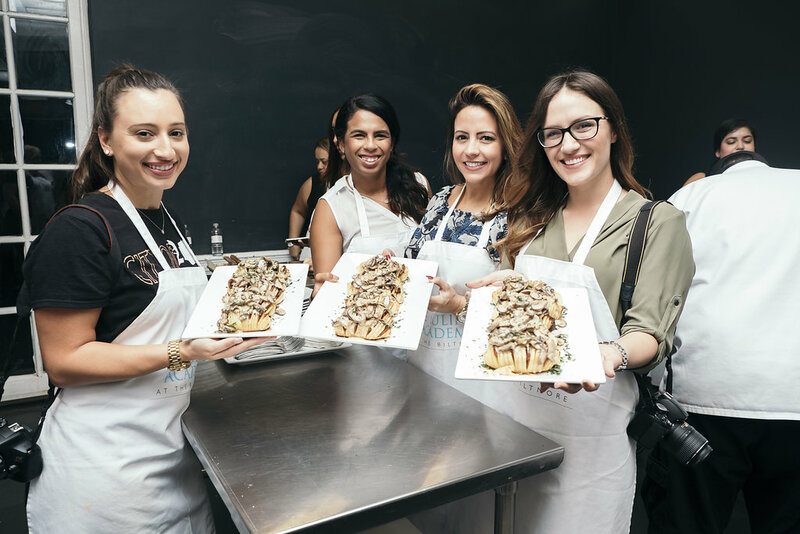 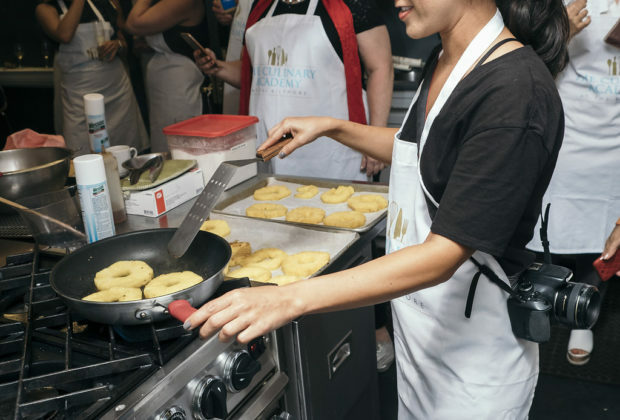 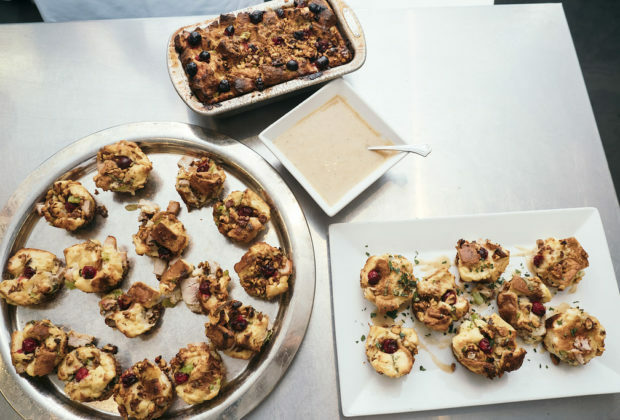 The recipes were not your typical Italian fare, and many included a South Florida twist that you would not usually associate with Parmesan cheese. At the end of the 2 hours, we were amazed to have 6 gorgeous dishes to sample our way through. 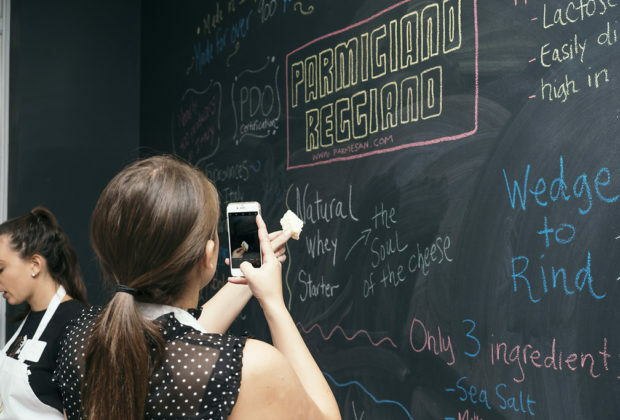 Some of them were obvious in the use of Parmigiano Reggiano, but some you had to stop and think before you could pinpoint the flavor. 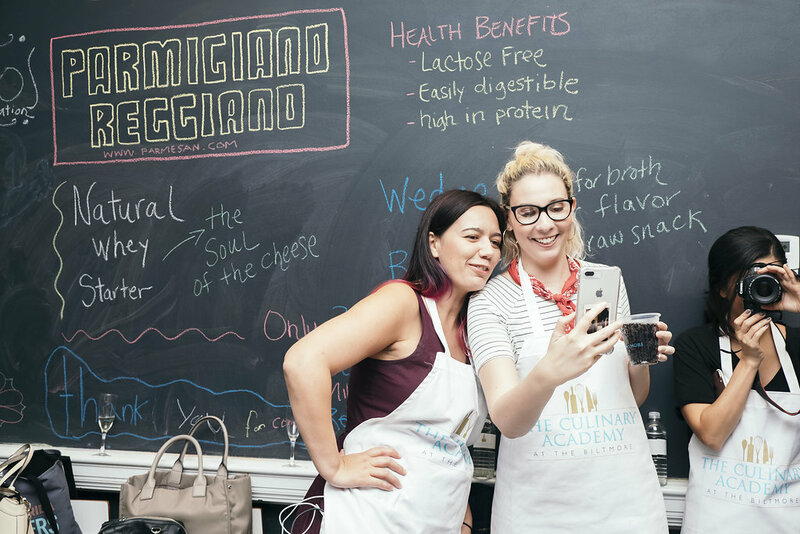 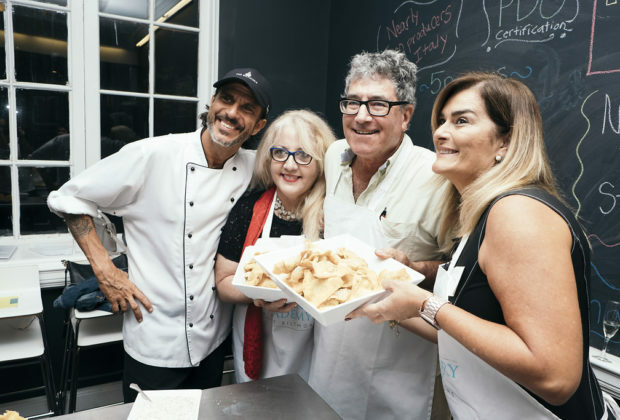 It was a fantastic evening of honing our cooking skills, learning new uses for Parmigiano Reggiano, and making new blogger friends. A huge “Thank You” to The Biltmore Culinary Academy and Parmigiano Reggiano for putting this event together and giving us all a chance to feel like professional Chefs for the evening!